Hello friends. I wanted to do one last walk down memory lane; before my time ends with Art by Miran Design team. I thought it would be fun to show some of my favorites from the past year; while on the Design team. Here are a few of my favorites. 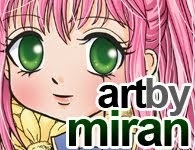 The Art by Miran Etsy Store will remain open and so will the official Art By Miran Facebook page. Be sure to visit Mi Ran Jung's store for more of her gorgeous creations; and continue to follow her on the official Facebook page. Stop by My blog and see what else I have created. I have a few more Art by Miran cards on there. 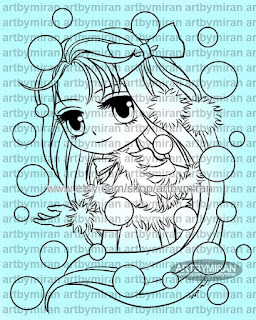 Art by Miran "The Magic Of Love"
Thank you so much for taking time to visit Mi Ran's Showcase blog and for being a part of my life for the past year. It has been a Magical year. 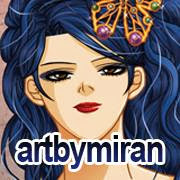 it feels a bit sad today since this will be my last post here at Artbymiran Blog. I´m sharing Gentleman George from the Etsy shop. This is one of my favorite male images and I love to create with this image. I decided to make a Birthday Card with a traveling theme. I added "It´s your Birthday" inside the card. I have coloured with ProMarkers. 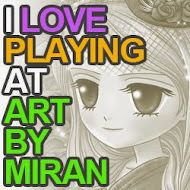 We would love for you to become a follower of our blog, along with visiting our shop to see all the wonderful images artbymiran has to offer! 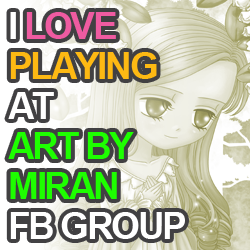 We have a new artbymiran Facebook Fan Page, where we offer monthly challenges, come on in and join the fun, chat with Mi Ran and the design team members! Thanks so much for stopping by and we Hope you have a Wondeful Saturday! 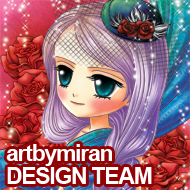 It's time to for me, Anne, to share my last Design Team card for the very lovely MiRan. She has decided to close the blogs and stop drawing for the moment, but I am sure we will see her beautiful artwork again soon, just in a different form. I am sure going to miss desiging with these gorgeous girls and would like to take this opportunity to thank MiRan for allowing me to be part of her Design Team and for her generousity, allowing us any of her images at any time. Yes, you read that right!!! 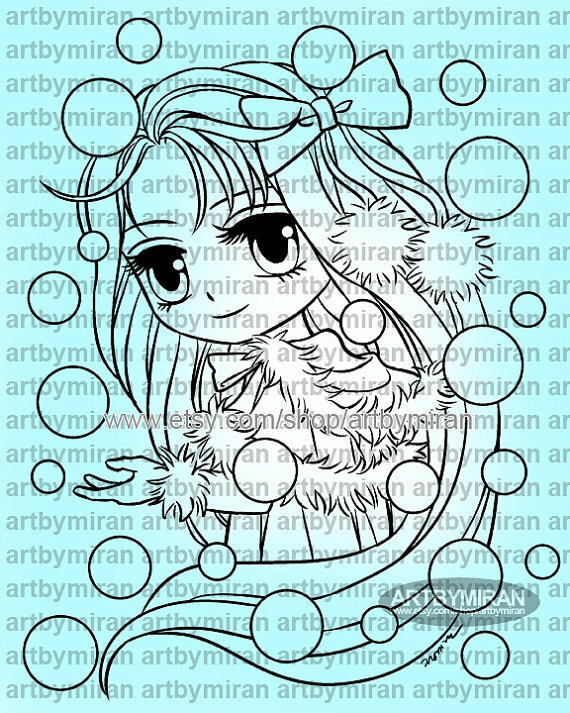 The Art by Miran Store will remain open as will the official Art By Miran Facebook page. 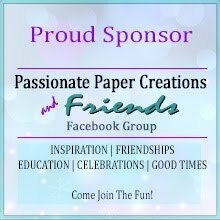 Be sure to visit her store for more of her gorgeous creations; and continue to follow her on her official Facebook page. If you'd like any more infotmation on how I put this card together then please do visit my blog. 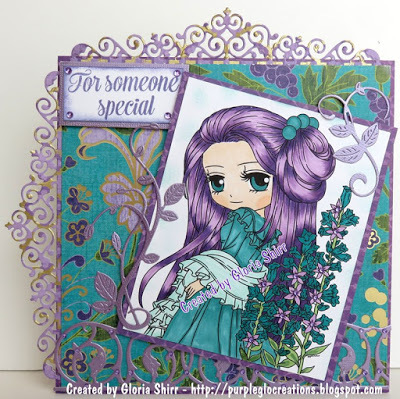 Bettina here, and it is my turn to host the inspiration on the Artbymiran Blog. Today I'm sharing Selena Snow from the etsy shop here. I decided to go for a Christmas themed card for my inspiration, and this time I have done a shaped card. Selena Snow is coloured with my promarkers . I added a some gesso and chill themed papers for the winter look. You can see more details on my blog. 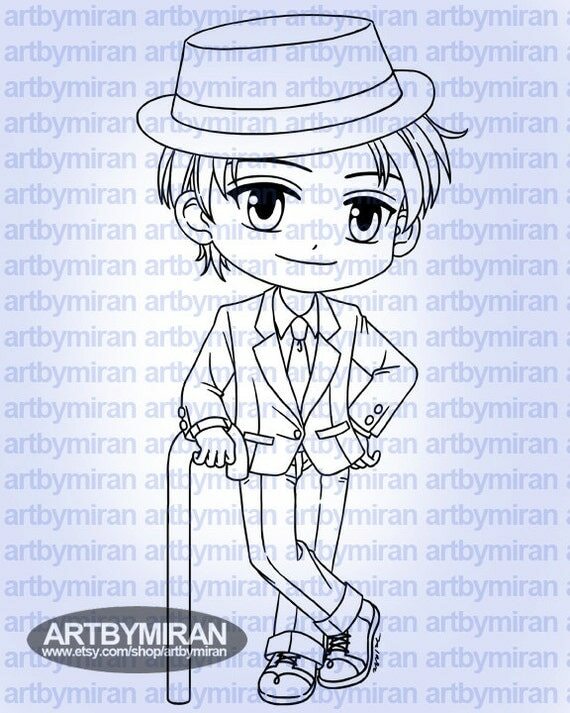 Greetings Art by Miran Friends! 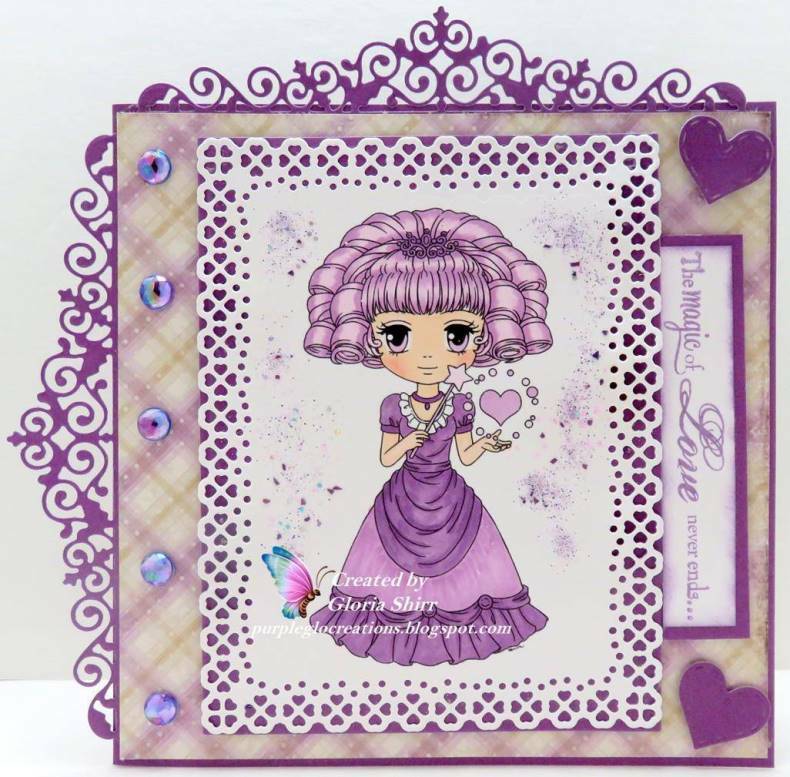 It's Alicia here and it is my turn to host the Artbymiran Blog and today I would like to share a card I made with Dino Danny. I love using bright bold colours for masculine cards, and thats exactly what I did here. 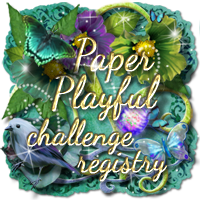 I've paired it us with some simple designer papers and minimal embellishments to keep the focus on the image. Finally I've added a cute sentiment to round the card off. You can see more details on my blog at MaxiBelle Studio. We would love for you to become a follower of our blog, along with visiting our shop to see all the wonderful images Art by Mi Ran has to offer! Thanks so much for stopping by and we hope you have a wonderful day.